I do hope you are having a good Sunday? 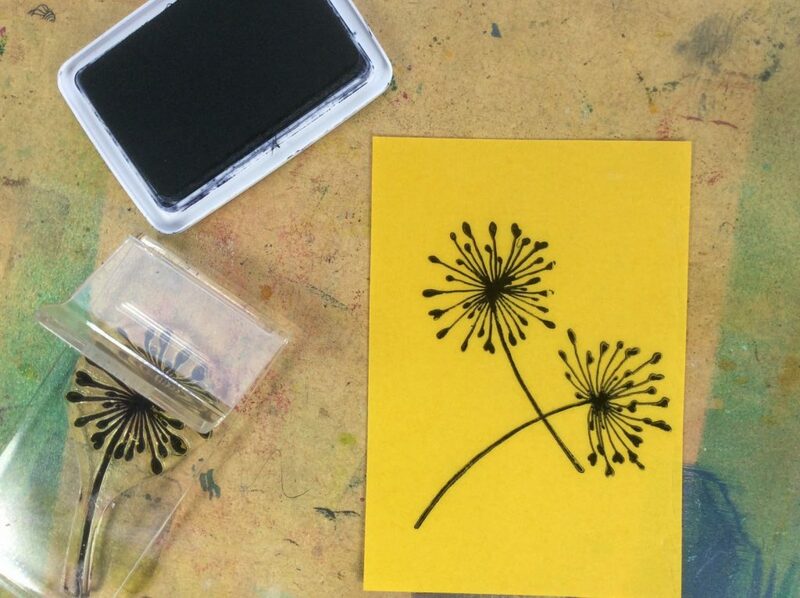 so I can’t stop long; potatoes to peel and all that jazz..
Alliums on Double-sided adhesive with Gilding Flakes. 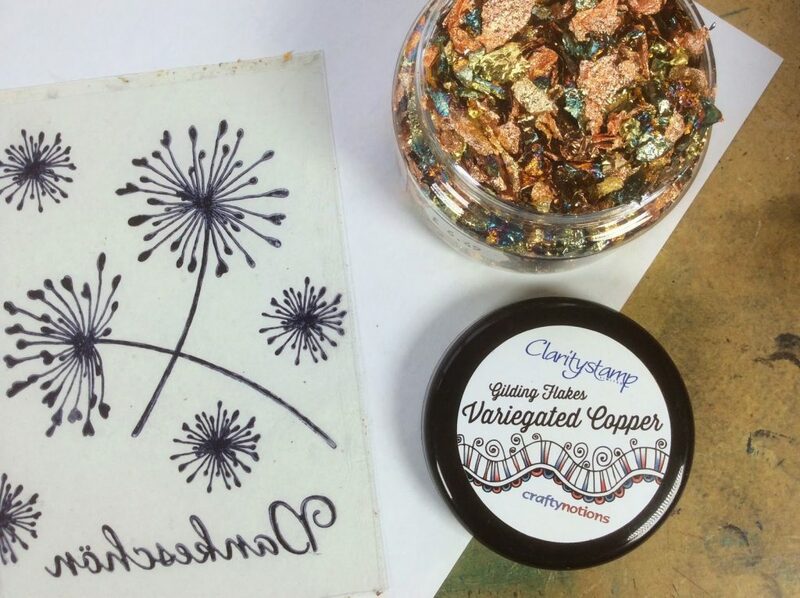 These two + 1 Gold Gilding Flakes Special Offer. leaving a half inch gap at the top. 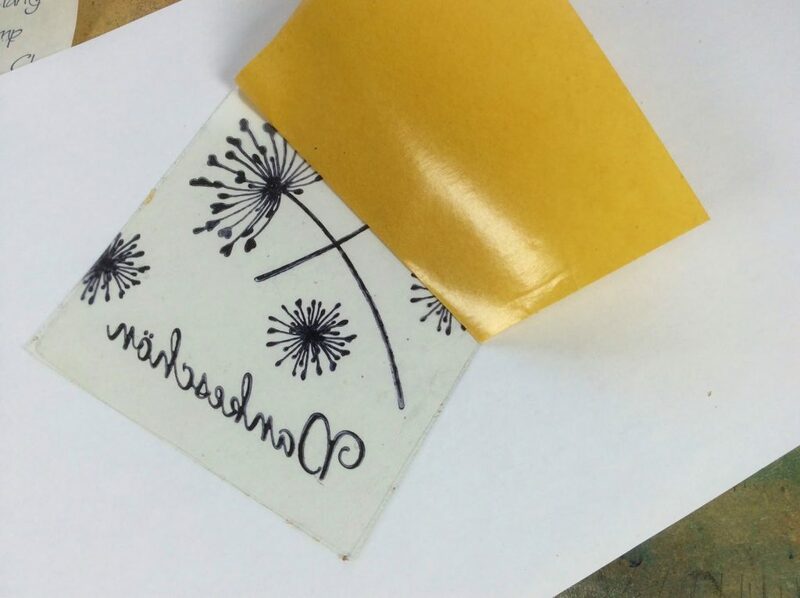 Place the acetate exactly over the sticky part which is exposed. 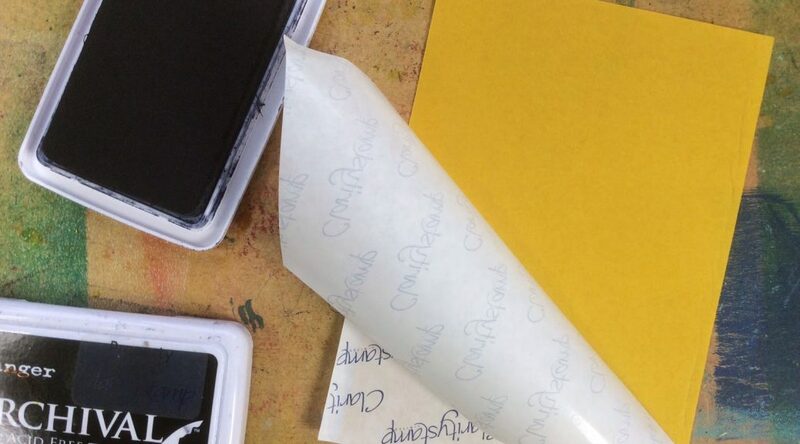 You can slide around on the wax paper, to get it in the right place. and rolling the acetate into place simultaneously. 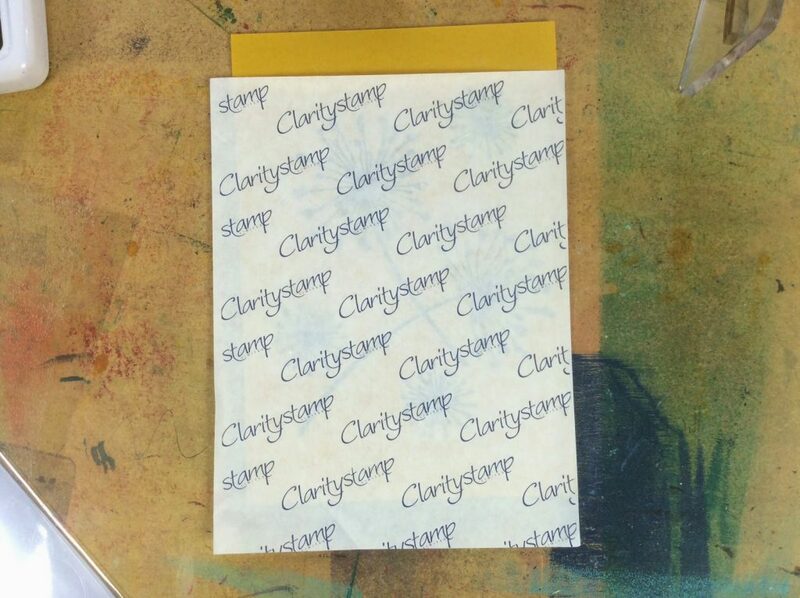 until the wax paper is gone and the acetate is in place. 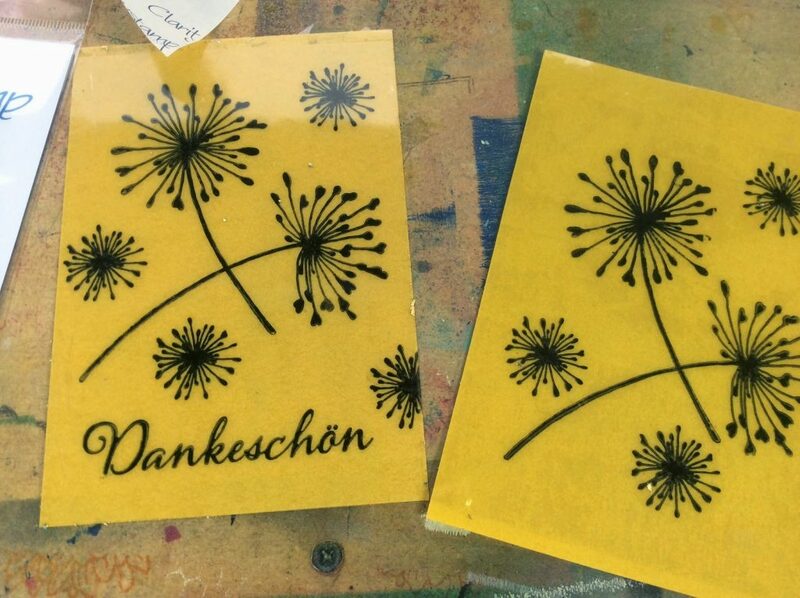 Here is one I did for my German Mum. 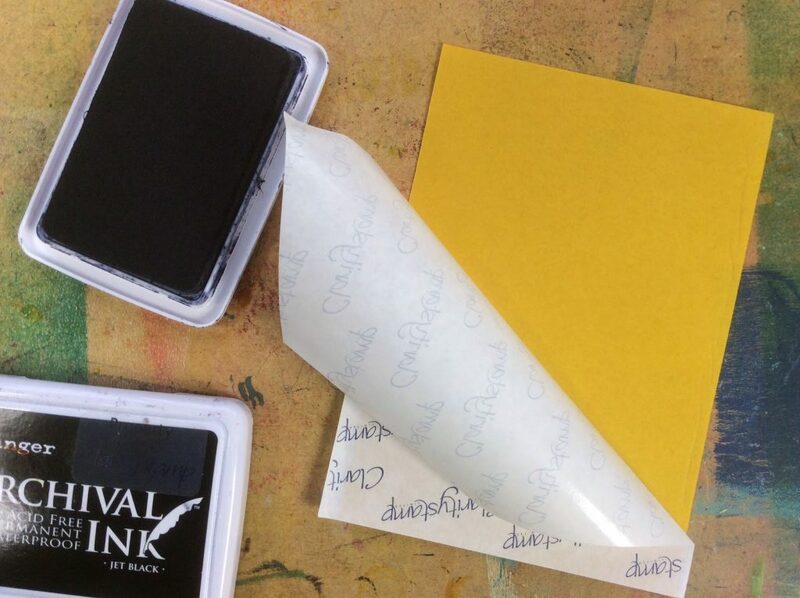 So now flip to the other side, and peel off the orange paper. 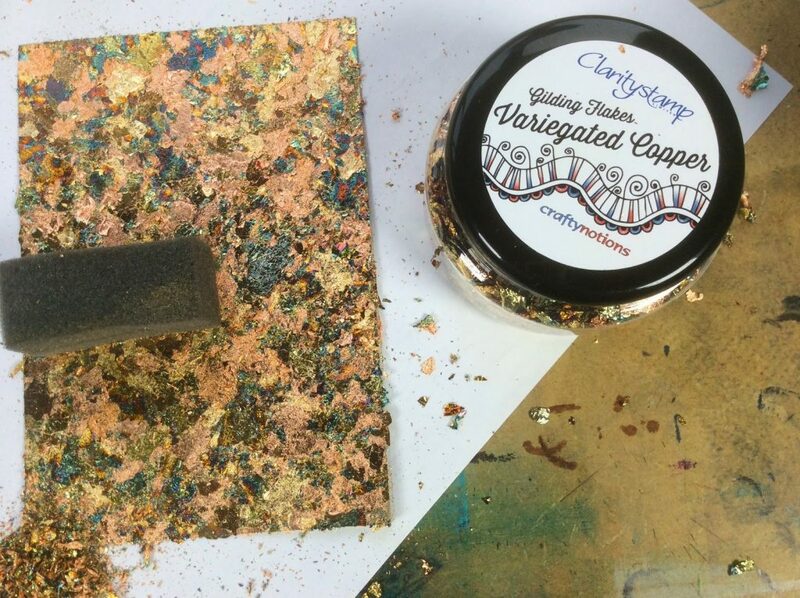 Variegated copper is good. Mum will like this one best. or the cat can’t jump up on the table! 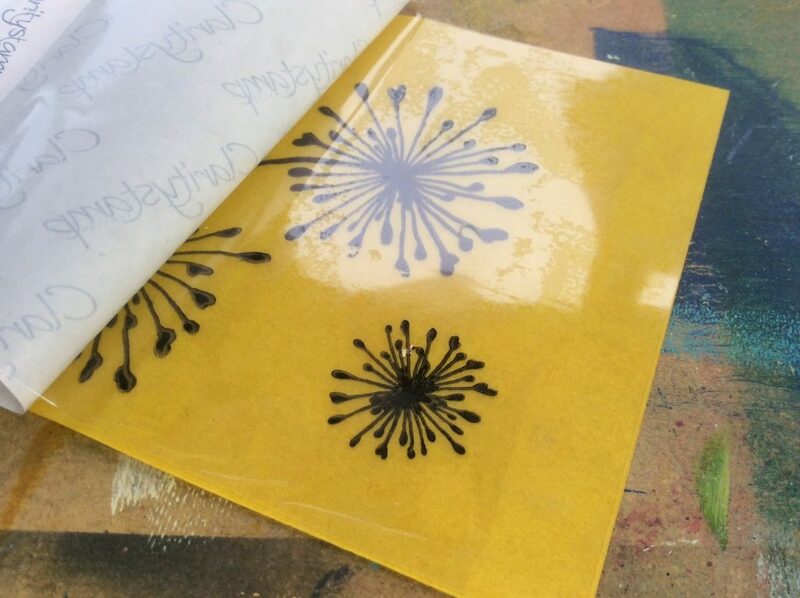 Sprinkle the Gilding flakes onto the adhesive sheet. and pour the leftovers back in the pot. Using your finger, or a sponge finger, burnish the back. Turn over for a rather sumptuous effect. Here’s one using Variegated Green. There are loads of different flavours. I think my favourite has to be Pirate Treasure though. Anyway. This ones’s for my Mum. 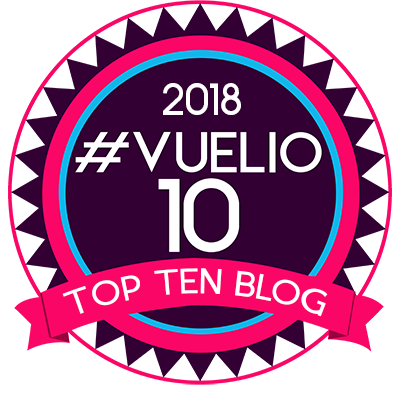 A while ago, we were walking along together, and I told her that of all the things she has shown me and taught me, the greatest personal gift she has given me is bilingualism. But I guess my Dad deserves half the credit for that one, too! My German’s still not as good as hers, but I get by! So beautiful, I'm sure your mum will adore it. 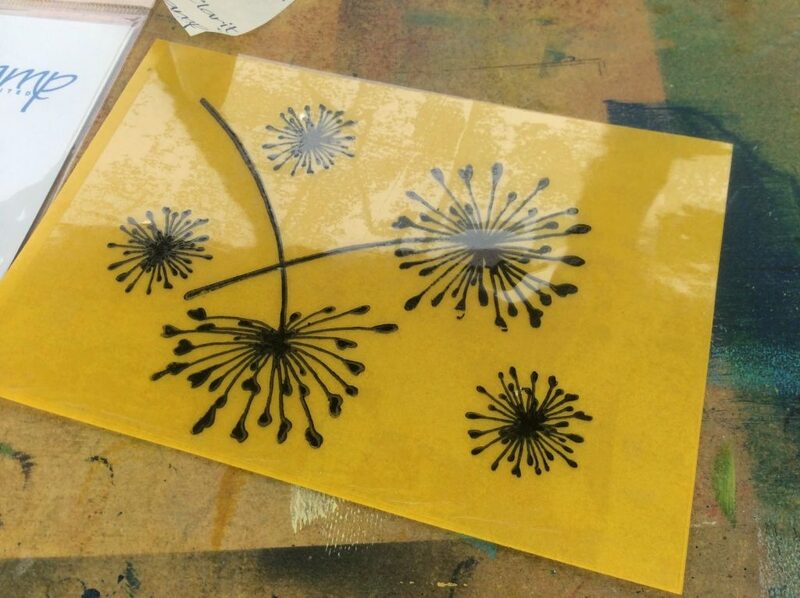 I've tried acetate a few times, including with Gilding flakes but I'm afraid it's still something I've still to master. But I think your demo may have solved my problems. 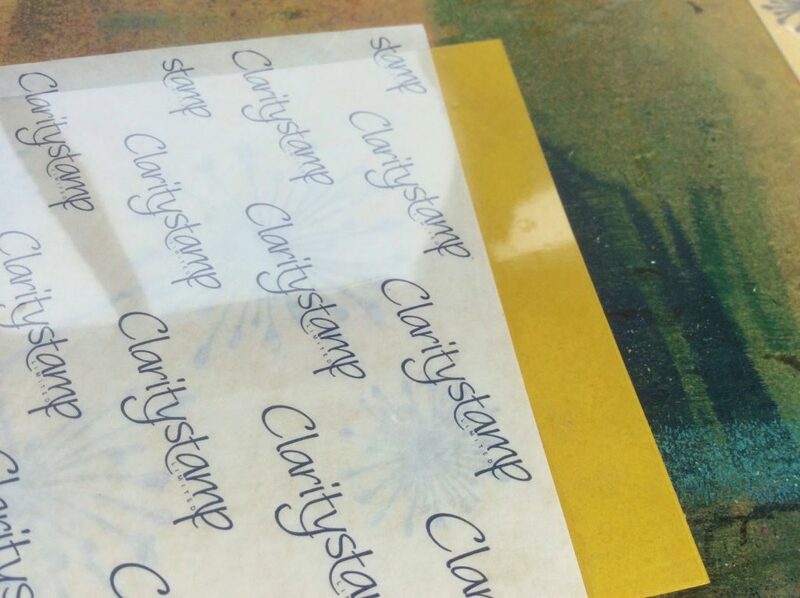 Bought these stamps at Harrogate recently and used them last week and used them last week on cards for friends. Their stunning simplicity makes them vefy versatile. Barbara a big thank-you for this extra special treat – I love building flakes and have some silver ones with which I shall go dust of as not used since before Christmas . Gorgeous card Barbara I'm sure your mum will love it. Hope you have a great day. Happy Mother's Day, what a lovely tribute to,your mom. Love this card. Have a wonderful day with your family. 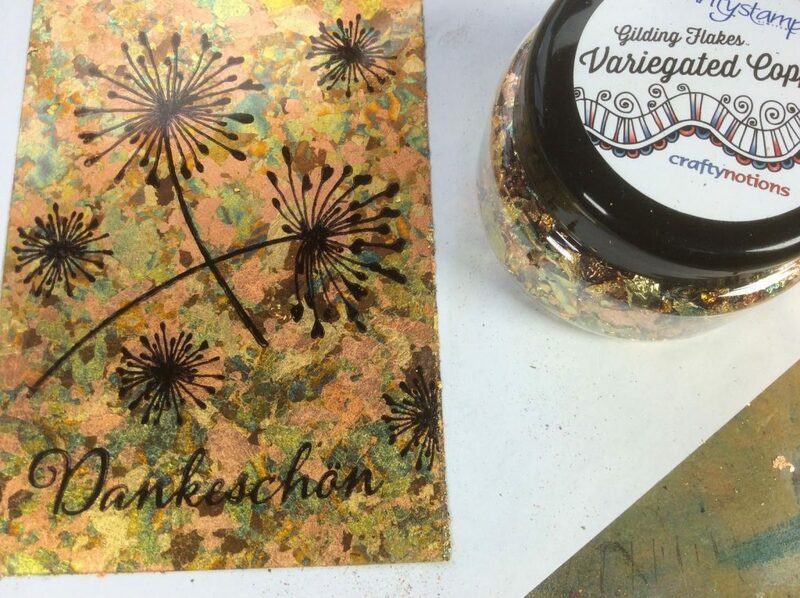 Lovely bright & cheery card – love the gilding flakes. 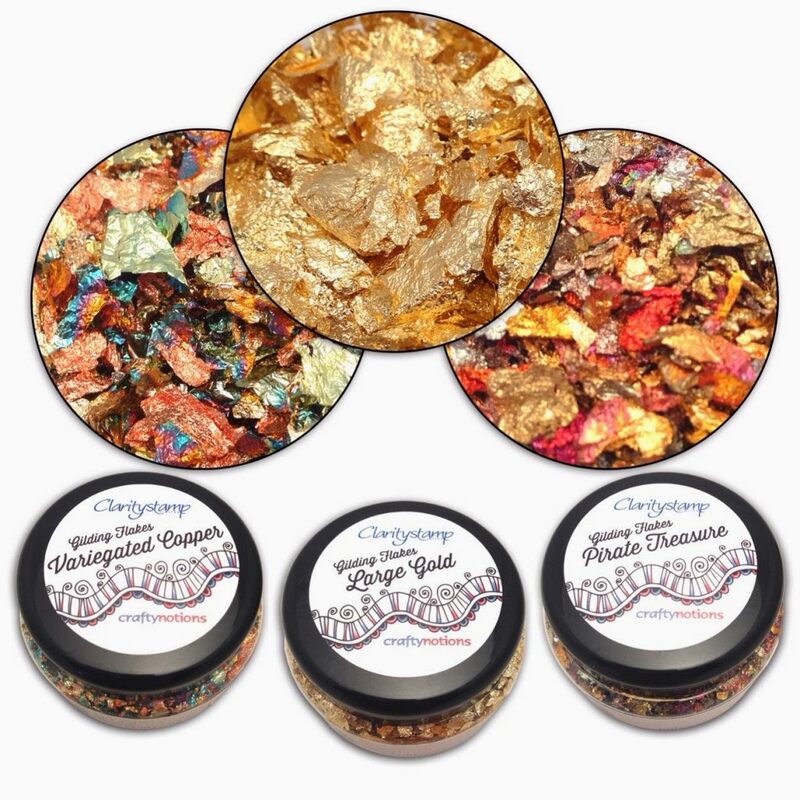 Must give these gilding flakes a try they always look so good. Happy Mother's Day to all even my two children remembered this year and the Spanish post obliged with their delivery. You have to live here to understand. Can I send you a crafty hug too? Good morning Barbara and a happy mothers day to you! Neither Colin nor me have our mums with us anymore but I feel that today they are both with us looking down and smiling on what we're doing! We will be spending the afternoon with Amy and her bf Matthew in their new home and then they are treating us to a meal in Manchester! It's good to spend time with our families! I really must get these aliums! I keep forgetting to get them. Happy Mothering Sunday I hope you have a lovely day with your family despite the fact some members are far away. Lovely card, simple but effective! Happy Mother's Day everyone. I am lucky enough to have an original one of these that you gave me at the NEC a couple of years ago when you demoed this technique for me it has pride of place in my craft room . Happy Mother's Day to you and of course your Mum. 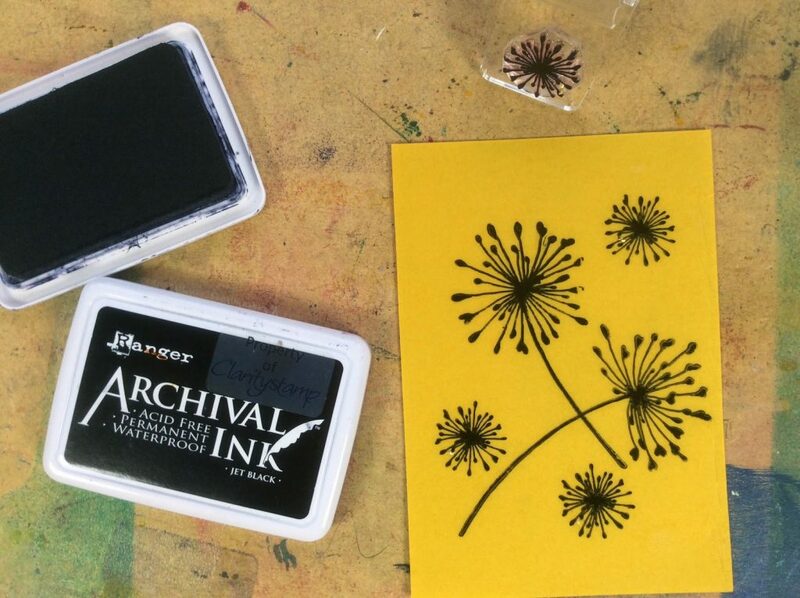 I don't have the alium stamps, but I do have some other floral stamps and the acetate, so may give this technique a go this afternoon as I have two birthday cards to make. Hope you are enjoying Mother's day with your Mum and I bet she liked the card. Hi Barbara. I love the card. 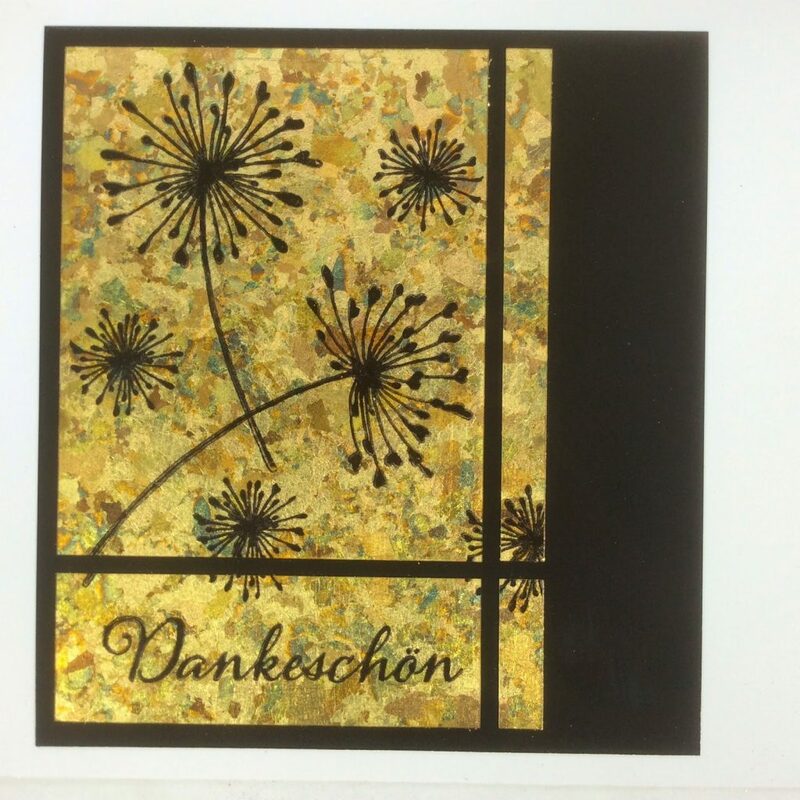 The gilded background is beautiful with the flowers. I wish I could speak another language. I was let off compulsory French after 3 years as I was still at the je m'appelle… stage, just could not retain any of it. Had to do extra maths instead though:( ! Give me something practical to do though and that's a different story : ) I hope you have a lovely day with the family. Take care. 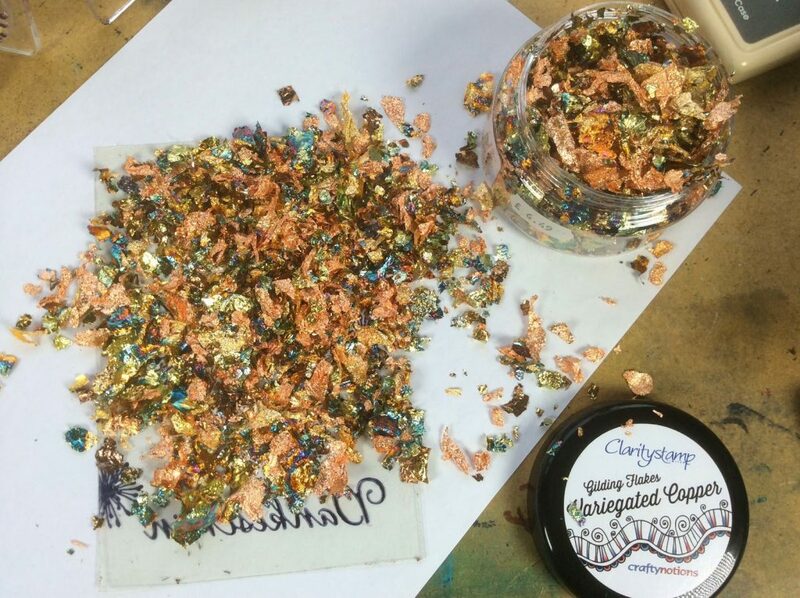 This is stunning Barbara, so beautiful with gilding flakes, I don't use them enough lol! 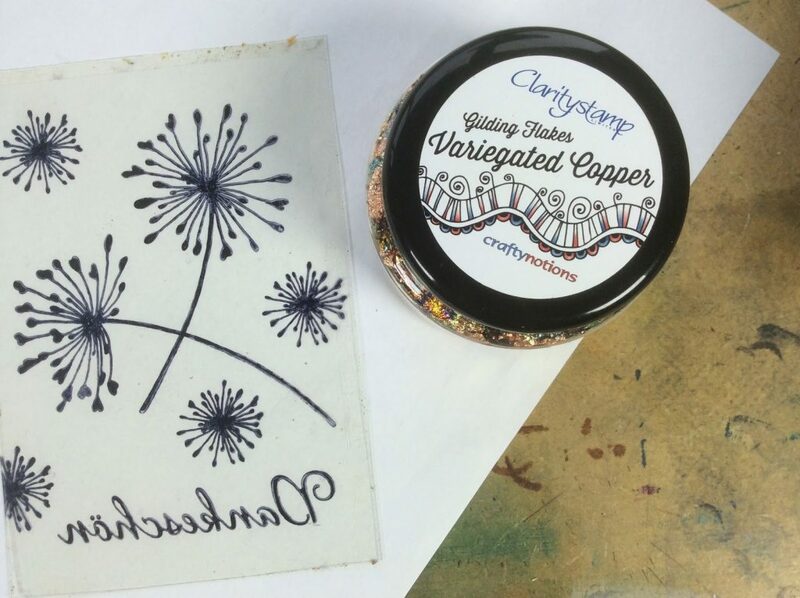 Thank you for such a wonderful demo, never thought of stamping straight onto the adhesive, will have to try it. I hope you are enjoying your day with your mum. 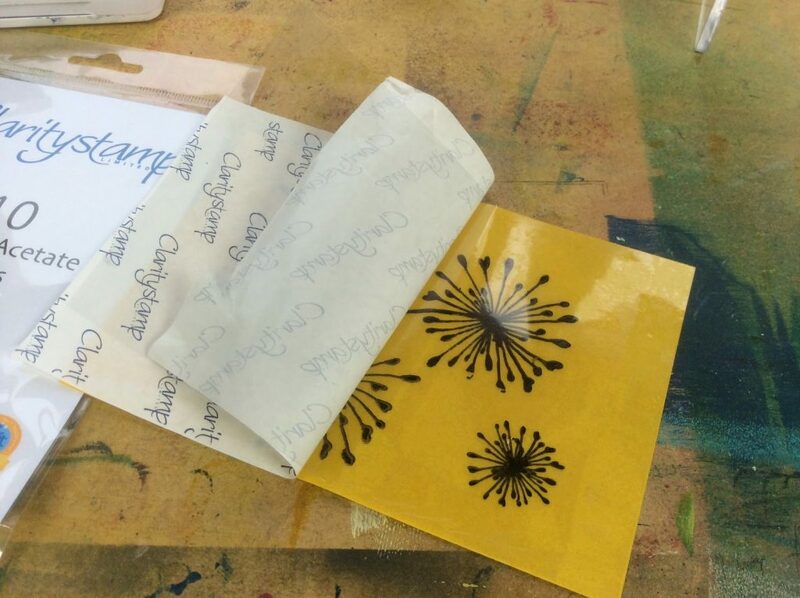 My children are spoiling me too – my daughter made me a beautiful card which I really appreciate as I am sure your mum did too. My mum and my mother in law were very pleased with their cards. All in all a very good day. 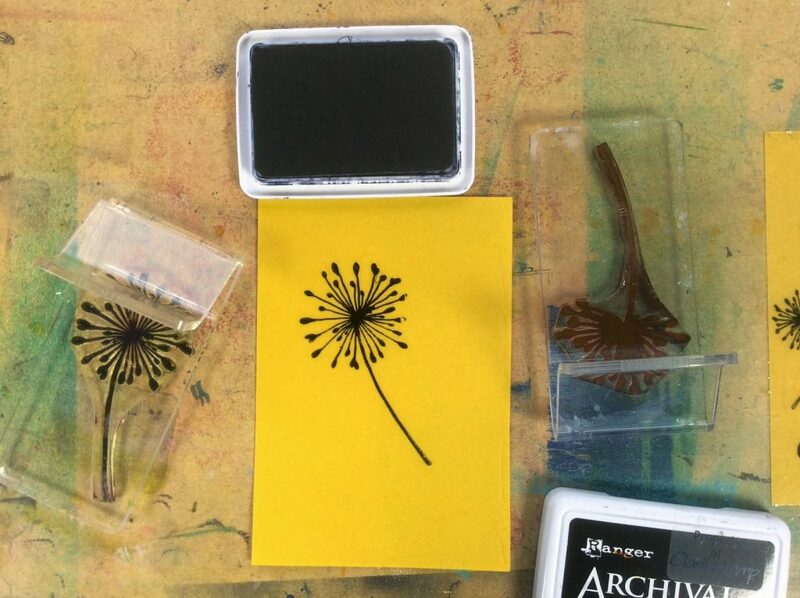 I have the alium stamps – they are extremely useful especially the smallest one without the stem which makes a brilliant firework! Must go now as my hubby is making tea for us all. Lovely card, wish I still had my Mum to make a card for but sadly she died 11 years ago and the anniversary falls very close to Mothers Day so it is always a reflective time for me but I have 2 wonderful daughters who make a special effort for their Mum. great card and pirate treasure is my fave too. i agree with you that bilingualism is a great gift and that is why i insist my kids need to learn my native lingo too. your german is great and i'm sure you were fishing for compliments with that statement. 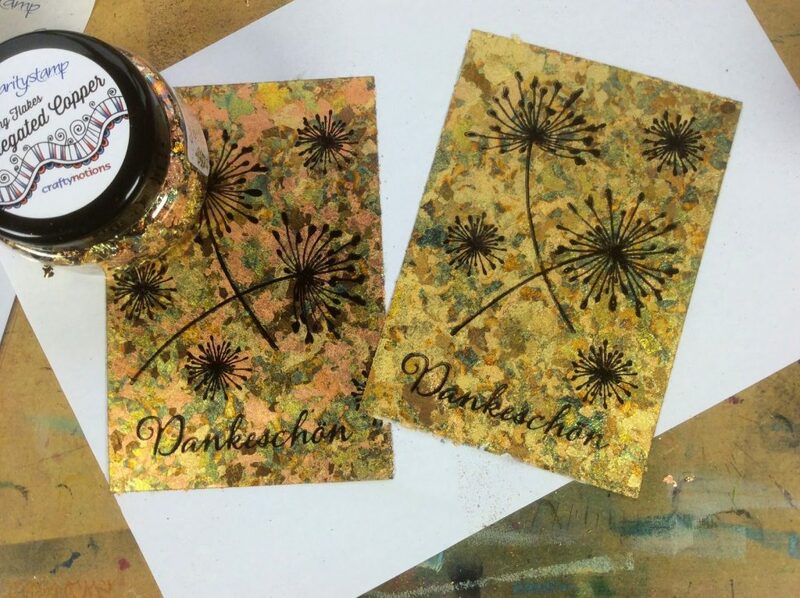 I dithered about the Allium set of stamps so they along with the gilding flakes and double sided adhesive sheets are on my list for Doncaster in June.